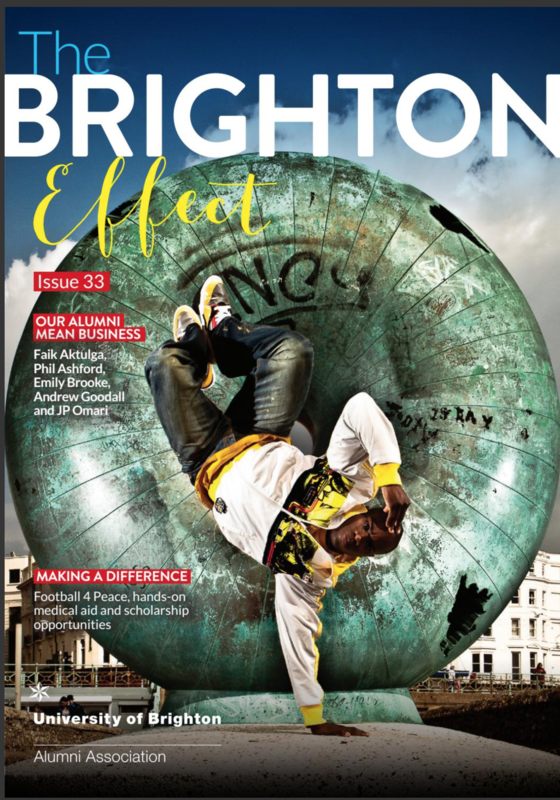 The latest issue of our Alumni magazine, The Brighton Effect, is out now. This edition features two Brighton Business School graduates, Chris Payne on page 19 and the cover story JP Omari on pages 26-27. 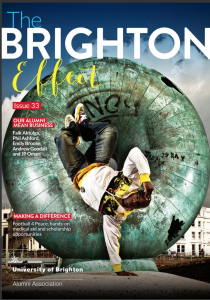 The latest alumni magazine, The Brighton Effect. Chris Payne graduated with a Business Management with Finance in 2013, and now runs his own outdoor activity business, Payne Games. JP Omari, International Business graduate in 2003, is now a multi-award winning hip hop dancer, teach, coach and choreographer, having started the most successful hip-hop dance school in the south coast region, Street Funk. You can read more about alumni from across the university here.